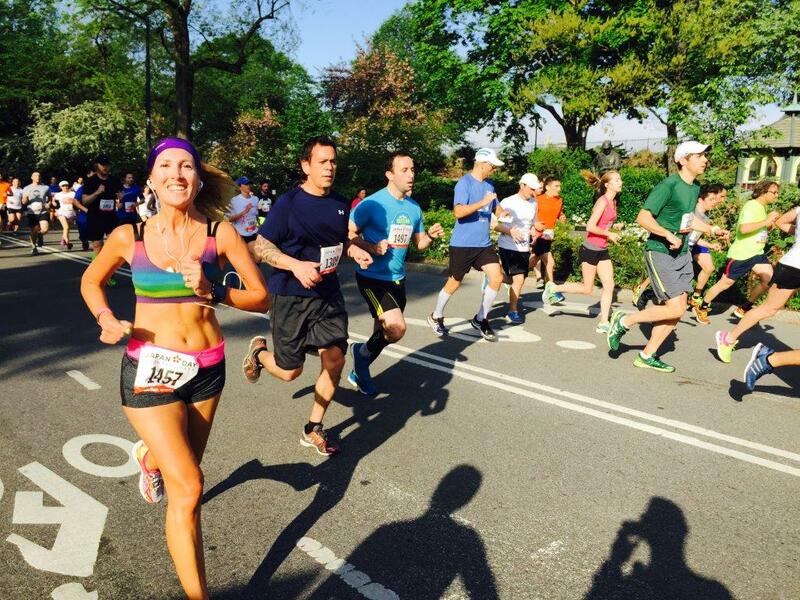 NYRR Japan Run, 4 Miler… no sleep until Brooklyn! Another weekend, another race. I spent all last weekend and the first half of the week out of town, in Miami, doing nothing, and I thought I was keeping things in check… I didn’t. I was running every day, trying to watch what I ate, and still came back with 5 pounds extra, major UGH. I even did 6x400s, in 85% humidity and by myself, wich you can imagine is a pretty crazy type of hell. I was signed up for yet another 4 miler (the 4th this year, third in 5 weeks!) for Sunday so when I got back home I tried to reel the craziness in… I had been shaving 6 seconds off the 4 Miler every time and if I got rid of 7 seconds this time… it’d be a PR. Keep in mind, I haven’t PRed in TWO YEARS! UGH!!!!! Sunday rolled around and it was like 300% humid. It was a SOUP outside. It was usually overcast, but as soon as the race was about to start it got sunny: EVEN WORSE. I got my corral and I figured I would even be able to do what I had done 2 weeks before: 28:06, but… it’s a great workout, so just get it done. I had some team mates in the corral but I couldn’t find anyone to pace off. Fine. We get moving and it was UGH gross. I just kept telling myself to get it done. I knew Juan, who was signed for the race but had been sick all week and decided to skip it, would be cheering at Engineers Gate, so I just focused on that. A lot of people passed me on the first half a mile. Oh well. Soon enough, there’s the husband! very important, I know! 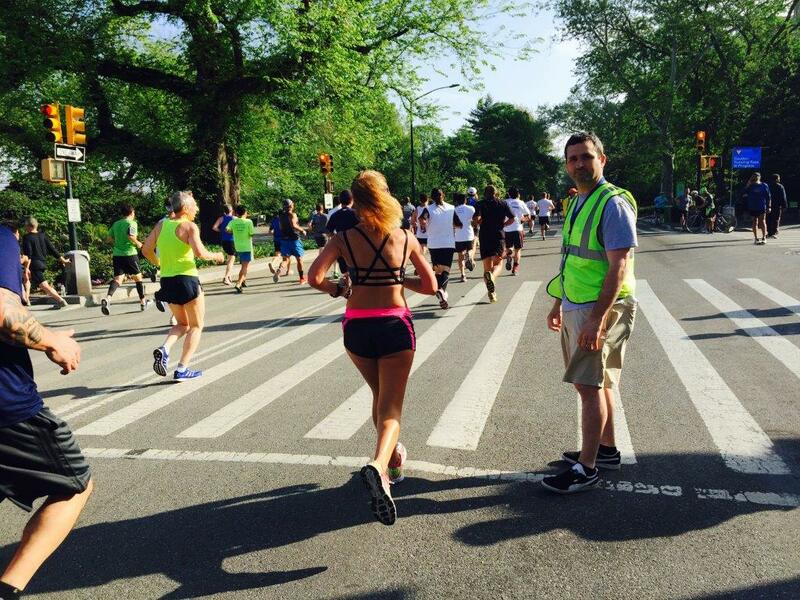 Back to the race… I left and tried my best to keep the pace. Mile 2 is the flattest flatter. 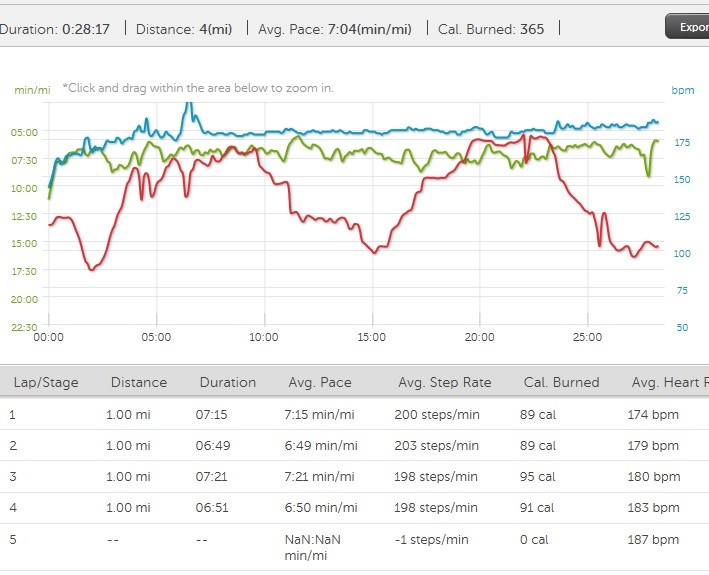 not to be mean but check how everyone around me started in a corral ahead of me (numbers are lower, they’re faster runners) and they were all melting…! The result, 11 seconds slower than the last one (so not so bad), and 18 seconds off from what I really wanted. Still, like I said, I think I did great overall compared to everyone else! check of the rest… I was the 36th woman of 2580…??? that’s INSANE…. I get that a lot of people are saving themselves for the Brooklyn Half next week, but really, what’s better than a nice short hard effort to tune it up?!?!?! I rather do these little tempos (though I did add 6 more miles after!!!!) 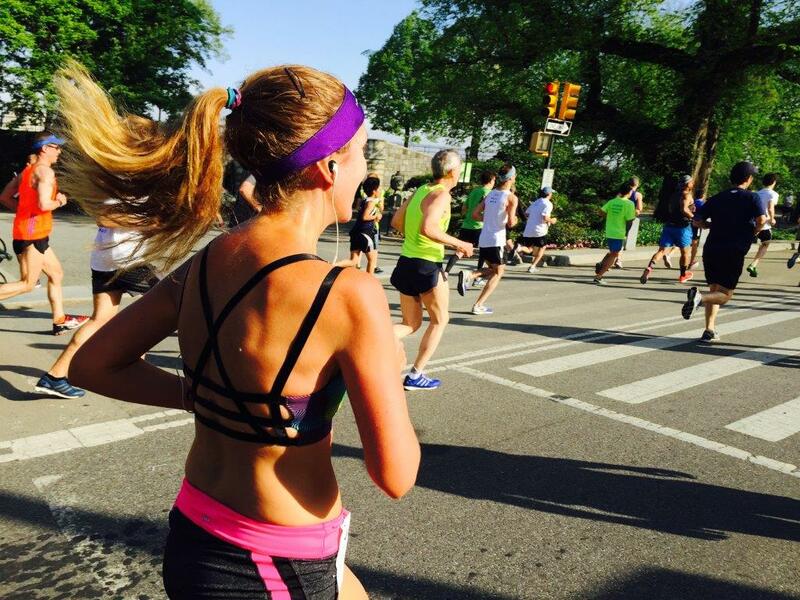 the week before a half instead of a “long” run… speed is where it’s at!!! Speaking of Brooklyn, we shall see. If the weather is like yesterday, I am gonna take it easy, because… I am NOT crazy! We shall see…. 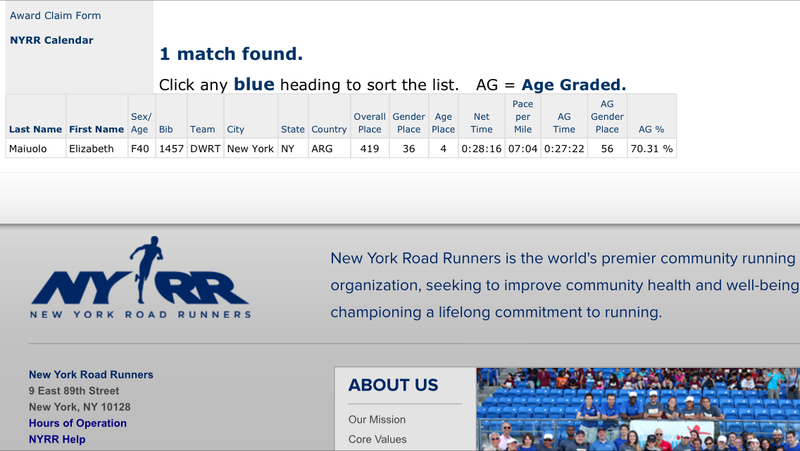 Now, I wonder… I did the NYC Half in 1:39 2 months ago exactly. 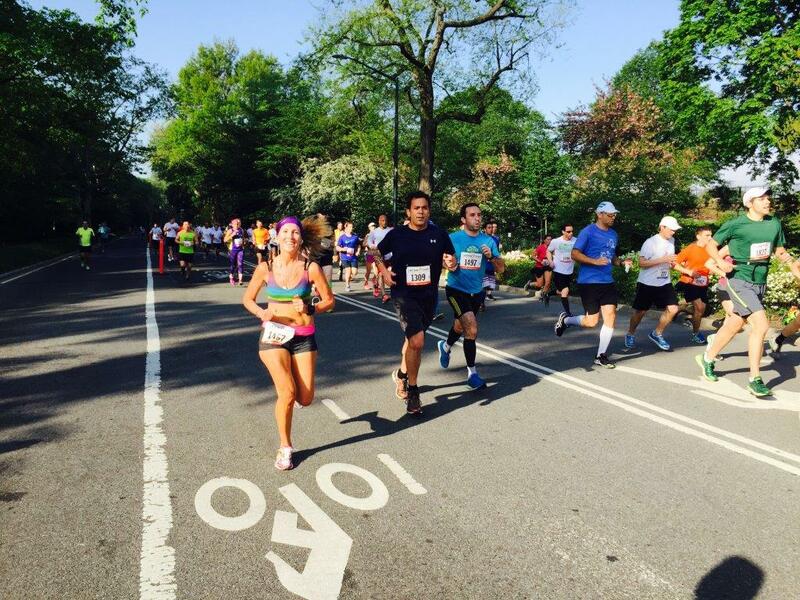 Brooklyn Half and NYC Half have a similar course, elevation-wise. Given 2 good training months in the middle, and assuming great weather (which, I doubt it, as NYC Half was PERFECT), how much can a person speed up? I’d say a minute is a safe bet, but on the other hand… my training partner Patricia has been hitting the same 1:36 finish time since September, and she trains like a crazy person… I am probably going to shoot for 1:40 and adjust based on the weather. Deal? Thoughts? 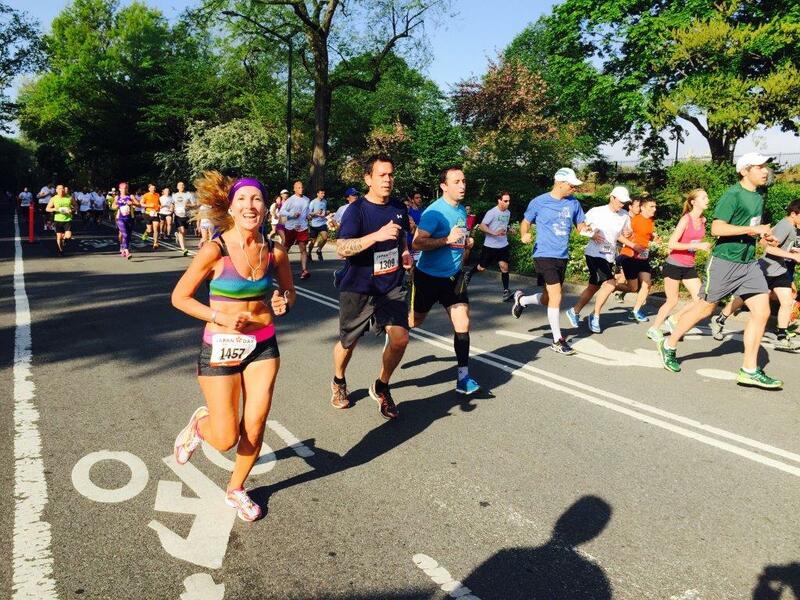 FYI, if you still need the course elevation for Brooklyn, it’s here. ← April is OVER? that was fast! wow good job.! super good race. and 36th woman of 2580 is very impressive.!! it was so seriously hot, I think everyone just melted! got them all at F21!!! so cheap too!!! but they’re great for beach sports as well! Awesome job! And cute bras! Hi! I love those sports bras but don’t recognize the logo. What brand are they? Hi! I love those sports bras but don’t recognize the logo. What brand are they? Thanks!